Matthew 28:1, First of the week. Some scholars see this as a reference to the beginning count of the Feast of Weeks since in all the above references either that Feast or the Feast of Unleavened Bread is mentioned in the textual context of each passage. On Acts 20:7, Vincent’s Word Studies in the New Testament admits that sabbaton is plural in the Greek, though he reference it as a singular word saying, “The plural [is] used for the singular, in imitation of Hebrew form. The noun Sabbath is often used after numerals in the signification of a week. See Matt 28:1; Mark 16:2; John 20:19” (vol. 1, p. 558). What can we conclude from this? The word translated for first [as in “first of the weeks”] is the Greek word mia which, according to the Greek lexicons, refers to the cardinal number one and is not the ordinal number first, which is a completely different Greek word. Why would the writers of the Gospel accounts of the empty tomb emphasize literally week one? Could it be that they are referring to week one of the counting of the omer the seven weeks between the weekly Sabbath within the seven day festival of Hag HaMatzot (Feast of Unleavened Bread) and Shavout (Pentecost or the Feast of Weeks)? The Torah specifically speaks of the day after the Sabbath when the high priest would lift heavenward in a waving motion the freshly cut barley for Elohim to accept (Lev 23:9–14). This event, which would occur on the first day of the week (Sunday) would also commence the counting of the 49 days (seven weeks) of the omer concluding with the celebration of Shavuot (Pentecost, literally meaning to count fifty) on the fiftieth day (Lev 23:15–16). It seems likely that not only did Yeshua resurrect just after the end of the Sabbath, and barely into the evening portion of the first day, but that he ascended to heaven on the first day, as well, when the priests were waving the barely omer—on Wave Sheaf or First Fruits Day. Therefore, the Gospel writers were emphasizing a “morrow after the Sabbath” or first day (Lev 23:15) wave sheaf offering, which was a prophetic shadow-picture of Yeshua’s resurrection and ascension to his Father in heaven (John 20:17) to be accepted as the first of the first fruits of those resurrected from the dead (1 Cor 15:20–23) as well as the commencement of the counting of the seven weeks leading to Shavuot (Pentecost). Interestingly, E.W. Bullinger, the noted late nineteenth-century British Bible scholar, linguist and author of the Companion Bible has come to the same conclusion. Bullinger says in his Companion Bible commentary on John 20:1, states that the phrase “On the first day of the week” should read “on the first (day) of the Sabbath.” He goes on to explain that this is passage is a reference to the Leviticus 23:15–17. On the day that the disciples found the empty tomb was “the first of the days for reckoning the seven Sabbaths to Pentecost. On this day, therefore, the Lord became the firstfruits (verses 10–11) of God’s resurrection harvest (1 Cor 15:23).” (The Companion Bible, p. 1570). This entry was posted in Feasts, Scripture and tagged empty tomb, First Day of the Week, Resurrection, Yeshua by Natan Lawrence. Bookmark the permalink. What could this possibly mean according to Greek Syntax with the contrasting ‘sabbaths’ in the very same sentence having a duality sense of definition with a co-existence between one and another?? Hence, Matthew 28:1 is describing details in meaning like; ‘Late (adverb) (post-after-end) (genitive of separation) but (with exception of the annual Passover) sabbaths (plural) as it was lighting up (twi-lighting e.g. Psm 148:3) on one (a cardinal number) of the (a partitive- genitive case function) sabbaths (plural)…… (etc). Thus a description that pertains to a time interval when the Passover festal period was finished and had already completed (e.g. ‘End’, opse-adverbial) the 2 High sabbaths (Nisan 15 & 21 i.e. Ex 12:16) of the Passover period onto a weekly sabbath ( 1 of 7 ) or one sabbath (Nisan 23) from a group of seven weekly sabbaths within the 50 day counted duration of time between Passover (i.e. from the sheaf offering – Lev 23:11,15,16) leading up to Pentecost. The phrase ‘the first day of the week’ has been traditionally perceived, interpreted, and understood to read as ‘the first day of the week’, or less commonly as ‘the first of sabbaths’. However, let us consider specifically the Koine Greek word ‘σαββατων’ which is transliterated as ‘sabbaton’ where the literal English rendering is translated as ‘sabbaths’ and is plural of meaning in line with Greek Syntax rules. Then, Yehoshua would have arrived at Bethany on Friday Nisan 8th being six days (Jhn 12:1) before the Passover (preparation day) on Thursday Nisan 14th (full moon), and ate the Passover meal (on the first day of unleavevened bread) at the precise designated time (Mth 26:17, Mrk 14:12, Luke 22:7) on the nightly beginning of Friday Nisan 15th. He was cut off in AD 34 being the prophetic 69th Sabbatical year (Dan 9:25,26) since the temple of Jerusalem had been reconstructed on Nisan in 445 BC. There He was crucified on Wednesday Nisan 20th on the Passover preparation day (Jhn 19:31) before Thursday Nisan 21 = the seventh day of unleavened bread (a Holy Convocation Day) and would resurrect ‘3 days and 3 nights’ later (Sign of Jonah/Mth 12:39, 40) on the weekly Sabbath late afternoon of Saturday Nisan 23rd. This particular Divine inspired day being one integral Sabbath in a week of (7) sabbaths within the 50 day period leading up to Pentecost. Thank you, but this seems like a lot of info without making a point; therefore, I’m not sure what your main point is. Whatever the case, it seems that we agree and teach what you’re stating. Have been doing so for years. It’s a matter of record. BTW, is what you’ve written your work based on your understanding of Koine Greek, or did you copy and paste this info from another source? If so, please cite the source. Not trying to be insulting, but from time time people do this. (E.g, just a couple of days ago on this same blog, someone actually quoted me from an article I had written previously on this blog as if they were the one making the statement. No kidding!) If you do indeed have a deeper understanding of Greek, as you purport, then I’d like to know your background, so that we can ask you questions from time to time and draw on your expertise. I studied Greek for a year at the academic level a few years back, but like a lot of things, if you don’t use it, you get rusty. It would be nice to have someone in the wings to rely on who has a better working knowledge than I do of Greek, so that we could ask questions. You have not accounted for Yeshau fulfilling His prophecy of Matthew 12: 39,40. Not sure what you mean. Please explain. We believe and teach that Yeshua was in the grave a full three days and three nights as he prophesied he would be, and not parts of three days and nights as the mainstream church teaches. 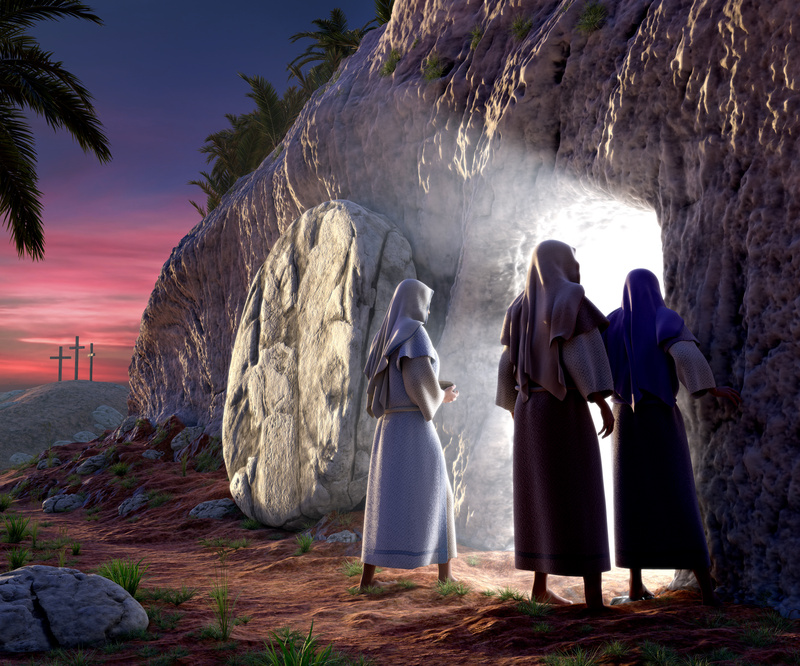 The length of time Yeshua was in the grave was not the point of this article. That’s another discussion outside the scope of the article. We deal with the subject elsewhere. Nathan, if the Lord “was in the grave a full three days and three nights” then it means exactly 72 hours. If that is so, how would you harmonized these verses? Who is correct among these 3 apostles? Is one of them correct and the other two are wrong? They are definitely referring to ONLY ONE EVENT, and that is the death, burial and resurrection of Jesus! And then the controversial “three days and three nights” He said it only ONCE. “after three days’ would certainly have to be interpreted as longer than 72 hours. And how about “the third day” which represents even greater problems. Is Jesus Himself guilty of compounding the confusion, because He used all of the expressions at different times in speaking of His death and resurrection? AGAIN, how do you reconcile what Matthew, Mark and John said? Five (5) times Jesus said, “on the third day”. Read Matthew 16:21; 17:23; 20:19; Luke 13:32; 24:46. 1. What is the Biblical counting of days? Isn’t it sunset to sunset” and the fraction of the day is counted as one whole day? Verse one says this day is Sunday, the first day of the week and the two speaking to Jesus say that He was crucified and this is the THIRD DAY since this happened. So we are told that the “third day” is this day being Sunday. Let’s count backwards and see what day Christ was crucified on. And so Friday is the first day and the day of crucifixion. WHAT ARE YOUR COMMENTS ON ALL OF THESE? We have discussed these points here and elsewhere, so I’m not going to rehash my position. Not interested in arguing. If you want to believe that Yeshua was a liar when he clearly stated that he would be in the grave for three days and three nights (i.e. 72 hours) as Jonah was in the fish, be my guest, but I won’t go there. In believing that Yeshua was not in the grave for 72 hours, the mainstream church has, in essence, called Yeshua a liar. I shake in my boots to think how they will have to answer to him on judgment day for making such a railing allegation against our LORD and Savior and the Creator of the Universe and them! If other Scriptures don’t seem to line up with Yeshua’s statement in Matthew 12:40, the problem isn’t with the other statements in the holy and divinely inspired word of Elohim, the problem is with humans whose understanding is limited and with so-called highly “educated,” and often non-believing idiots who call themselves “scholars” as they employ demonic and secular humanistic tactics (called “theology”) to twist the word of Elohim to put it at odds with itself. These are the same “scholars” who’ve twisted the words of Paul to make him say things he never meant and the are against the words of Yeshua, the other apostolic writers and the rest of the Bible by saying the Torah was done away with, nailed to the cross, is no longer for us today, etc., etc., ad nauseum. Here’s an article from [edited out]. From Natan: This blog is open to posting the respectful and righteous comments and questions of its readers. We do not allow the posting of articles written by others, or the mentioning of websites, ministries or posting links to other websites. This is because I don’t have the time to read everything or vet everything out to ascertain its validity biblically. Also, please keep comments short and to the point. If someone doesn’t agree with the the positions of this blog host, or wants to explore the opinions of other authors or researchers on a given subject your best friend is Google.